Join the behind-the scenes team that makes it all happen. Volunteering with us is the perfect way to join a very dynamic, enthusiastic and fun team. 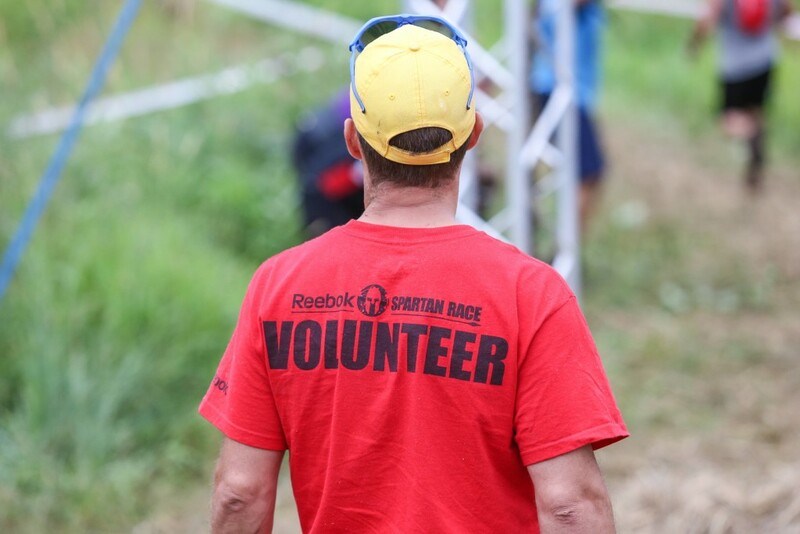 You will meet new people and experience a memorable day of mud, sweat and cheers. Course Marshal: Located on the course at an obstacle you will be providing plenty of encouragement for all participants as they run, crawl, climb and throw their way to victory! Don’t forget the most important rule… Failure = 30 Burpees. Registration: Welcome and register all race participants for the day. Computer training is provided. Bag Drop: Our manned locker service for racers to safely store their belongings while they race. Finish Line: Welcome the victorious racers back with big smiles and high praises for their efforts! Make sure that every racer receives a well-deserved medal, finisher T-shirt, water and snacks. Kids Race: Help with kids course as Spartans aged 4-13 years old compete for glory! Festival: Keeping the Festival area a safe and tidy environment for everyone to enjoy and assisting with the car parking area management and organisation.